Located in Baltimore, Mountain Manor Baltimore is one of the best addiction and substance abuse treatment organization throughout Maryland. Mountain Manor Treatment Centers founded since 1989 is one of the most reputable landmarks in Maryland. Mountain Manor Baltimore runs and operates four facilities in Maryland provide inpatient services, outpatient services, and detox substance abuse services for its clients no matter their age. The Emmitsburg location caters to adults while the Baltimore location runs about three inpatient programs for young people. The Baltimore facility has two coed programs, one for adolescents aged 13 to 18 and the other is made available for young adults 18 to 24. The third program features a separate program called “The Way Home”, for high risked female clients ages 14 to 19, which is located in a different wing of the facility. At Mountain Manor Baltimore, the young adult program can contain up to 16 clients while the adolescent program can take up to 52 patients. Adolescents are kept in gender-specific rooms in pairs while the young adults have the privilege of getting their own rooms. The building is furnished in a dorm-style and bathrooms in this facility is shared. The residents of these two programs eat in a dining room located on the first floor in the main building. The menu features a very healthy choice of meal which includes fish, chicken, and beef. Meals are served in cafeteria-style and salad is made available too. Snacks are also made available by the facility. The adolescents have a stricter policy as they don’t allow snacks and coffee outside the dining hall. The young adults are allowed to eat snacks outside and drink decaf in the community lounge. Television is made available for both parties, but it is limited to adolescents while young adults have access to a media player. The movies and films used have to be approved by staffs and R-rated movies are not permitted. Young adults have more privileges when it comes to using a pay phone, but adolescents get pay phone privileges depending on how they behave during the treatment process. The Way Program functions independently providing a high-structured living environment for only 12 patients who stay in dorm-like rooms, eat in separate rooms and are monitored by staffs both day and night. This facility caters for only girls who have histories of low self-esteem, family chaos, psychiatric disorders and high risk of substance abuse. Upon admission into Mountain Manor Baltimore patients are required to undergo a full psychiatric examination to determine the best treatment options that would suit their need. Known for treating adults and adolescents especially ones suffering from opioid addiction, the residential treatment at this facility lasts up to 30 days and the families of their patients are allowed to visit twice a week with different time allocated to adults and adolescents. Each treatment options offered at this facility has been proven to solve a specific problem in the rehabilitation process of their patients and are administered to the patients by a trained specialist. For the duration of each patient stay at the facility, they are required to undergo random weekly urine toxicology screening. The therapy choices at this facility which is programmed to rebuild their patients into drug-free individuals. The plans for patients admitted into this facility which is certified for their rehabilitation is determined by the initial evaluation taken by a specialist in the facility. Therapy meeting covers a bunch of issues like anger management, healthy relationship, mood regulations, substance refusal skills, stress reduction, management of craving, goal setting and grief counseling. The patients could also participate in any of the extra activities like swimming, aerobics classes, and weight training. Established in 1989 in Baltimore, Mountain Manor Baltimore has been in operation for over 29 years providing quality substance abuse treatment to its patients. 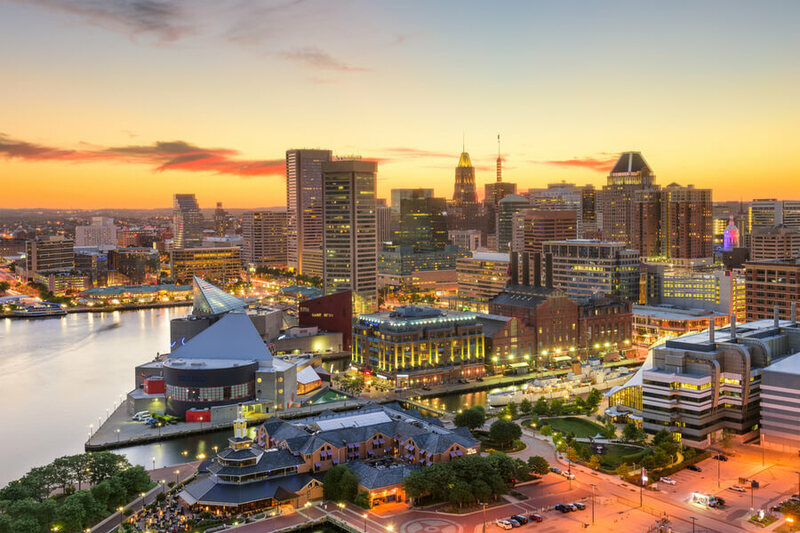 Fully equipped with enough manpower and equipment, this facility is known to be one of the highly recommended rehabilitation treatment facility in Baltimore and have a lot of success stories to their name. The treatment and therapy plans are well designed and programmed to give their the best treatment services required. This facility has a wonderful and comfortable accommodation and offers extra activities like swimming, aerobics classes, and weight training which are made to ease the recovery process. The staffs at Mountain Manor Baltimore which include a specialized team of nurses, counselor techs, social workers, CADCs, psychologists, psychiatrists and trainees from local universities. Each staff is to help in a specific area and aspect of their patient’s recovery process while patients are required to communicate easily with the staffs to get the best treatment. The staffs employed at Mountain Manor Baltimore are highly trained professionals who have years of experience between them. This facility has been known to go the extra mile in getting the best of the best in rehabilitation medicine for the treatment of their patients.